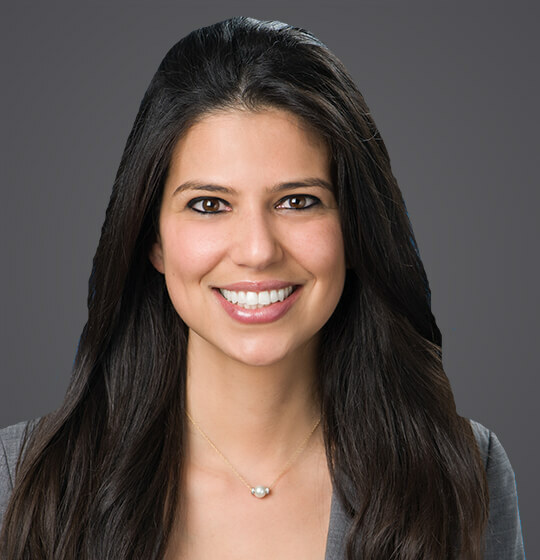 Danielle Goodman is an associate at the firm’s Los Angeles office. In her practice, Danielle represents employers in state and federal court and arbitration on a wide range of employment matters, including claims of discrimination, retaliation, sexual harassment, wrongful termination, leave law violations, wage and hour disputes, and intentional infliction of emotional distress. Danielle also represents employers in disputes with current and former employees regarding misappropriation of trade secrets, unfair competition, and breach of contract. Danielle received her Juris Doctor from Loyola Law School. She was an active member of Loyola Law School’s Scott Moot Court Team and International and Comparative Law Review. Her oral argument ranked 8th best in the 2010 American Bar Association Regional Moot Court Competition. Before attending law school, Danielle received a Bachelor of Arts in History with a minor in Geography from the University of California, Los Angeles. Defended an employer in 27 simultaneously litigated misclassification arbitration proceedings initiated by 47 former employees. For a nominal sum, settled a disability discrimination action brought by manager demanding $4.6 million. Settled a wrongful termination action brought by a highly-paid and long term manager for a nominal sum. Second-chaired trial in sexual harassment and wrongful termination action, resulting in a favorable jury verdict.